CareCom A/S was established in 1999 to answer the call for translation services from SNOMED CT in English to Danish. This call began the journey of CareCom, and the creation of our product HealthTerm®. 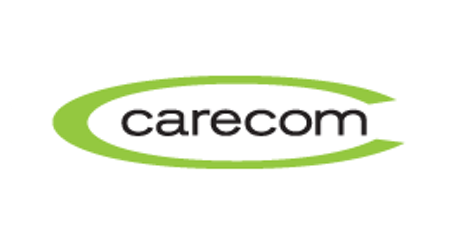 After 9 years, CareCom is considered as front-runner in Danish Healthcare Tech. Our main product is HealthTerm - terminology platform allowing for the some of the largest healthcare organizations in the world to create and maintain a common standard of communication between specialists. Clear communication is vital for healthcare professionals. However, unlike other professions they communicate through a vast number of concise terms. Our products helps to ensure a common standard of terms used so that no miss communication occurs. Since our creation in 1999, we have had the pleasure of collaborating with clients in Canada and the United States; as well as Denmark, Sweden, United Kingdom and a host of many other European countries. Among our clients we are pleased to have well known global brands like IBM Watson Health, NNIT and others. The challenge we face is that our enterprise terminology server needs a new license validation and update system. We are currently updating our client’s servers with new content manually and have an old license check system, which of course is not optimal. We would like to solve our business requirements by building a License & Update System (LUS) that for instance can be deployed on a cloud system and automate the process. 1)	Contain all required versions of content that should be made available to client installations. Each client installation should be able to "ask" LUS if any updates are available and if so allow the client installation to retrieve it. 2)	Contain a database of all client installation licences. Each client installation can then periodically or on demand "ask" LUS for a licence configuration. The theoretical part of this project lies in developing technical requirements based on business requirements, and available research and or technology. For instance it is vital to uncover what business requirement are feasible to fulfil by a concrete implementation and which are not and why so. The technical part is to develop a Licence & Update System prototype. At CareCom A/S we use open source technology and develop our software using Java, and JEE7. However, knowledge in any object-oriented programing language would be good for this project. The most usual background at CareCom A/S is either Computer Science or Engineering within Software Development, but a mixture between Computer Science/Software Engineering and HealthCare is also interesting. At CareCom A/S we have done successful student-projects that later on lead to a fulltime occupation, and this project is no different in that respect.